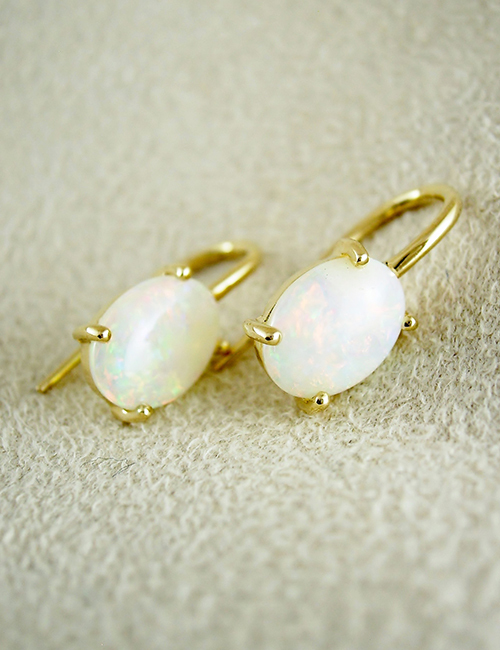 Solid crystal opal set with 18ct yellow gold. The drop earrings feature sparkling crystal opal shimmering mostly pinks with a little soft greens. Each opal weighs 1.33ct, measures 8mm x 6mm with the entire drop earring measuring 15mm.